These are pillars of solid glass, when combined with creative lighting gives an ethereal look and enhances any ambience. They are generally used as open partition between drawing room and dining room as well as in railing. They are available in variety of designs, shapes, sizes and colors. 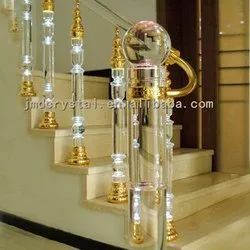 We are the manufacturer ofFancy Designer Baluster. 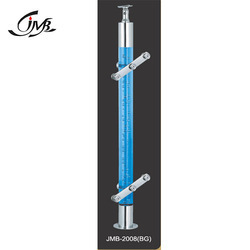 Owing to the rich industrial experience and expertise in this business, we are involved in providing Glass Bubble Pillar. Owing to the wide experience in this domain, we are instrumental in offering Glass Pillar to our clients. We offer Glass Pillars to our clients.